Manchester United were able to beat Tottenham 1-0 at Wembley, with Marcus Rashford’s late goal in the first-half proving to be the difference between the two sides. However, the bigger impact on the game was made by the sublime saves of David De Gea. Faced with a rejuvenated Spurs team that went all-attacking in the second half, the Spaniard held his cool as he made brilliant saves over and over again. Dele Alli would be kicking himself, as De Gea denied him two chances that seemed set to reach the back of the net. Harry Kane was another player who was frustrated thoroughly by the goalkeeper, with United relying heavily on their savior to see the game through. It has been a while since De Gea put in such a remarkable performance, and Twitter was quick to pounce upon the shot-stopper’s brilliance. "David de Gea has pulled off three or four brilliant saves." Mata: Amigo, How'd you pull those stunts? De Gea: Phew! I have no idea mate. Since the start of last season, De Gea is the only goalkeeper to make 10+ saves and keep a clean sheet in a single Premier League game. Hands and legs were equally employed by the man, and United will have him to thank for the three points against an in-form Spurs. The victory was Solskjaer’s sixth consecutive one at the helm of the Mancunian giants, and the first one that they have registered against a top-six opponent this season. 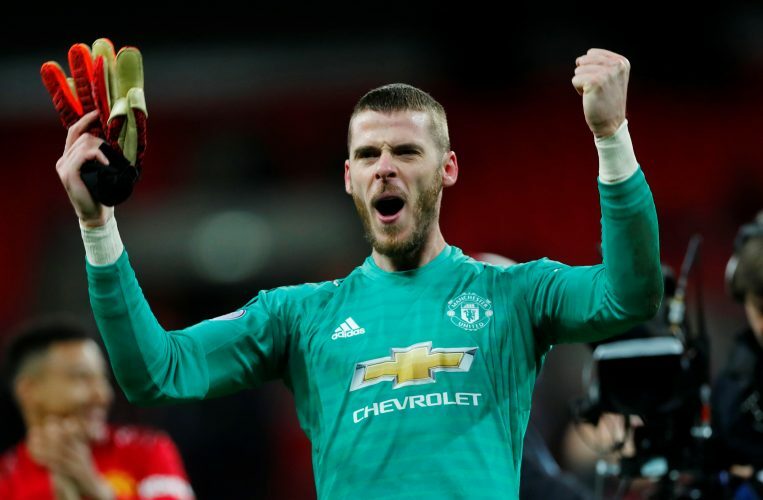 Despite that, the clean sheet was only De Gea’s fourth in the whole season, and the first time he’s kept back-to-back clean sheets, a testament to how bad the defensive game was under Jose Mourinho. The Spaniard will now be hungry for more, and if the club is able to reduce his workload by pairing Lindelof with an able centre-back, his task will be made all the more easier. Although at this point, the sheer beauty of his saves does leave certain supporters wishing that more chances would be created for the keeper to calmly thwart.